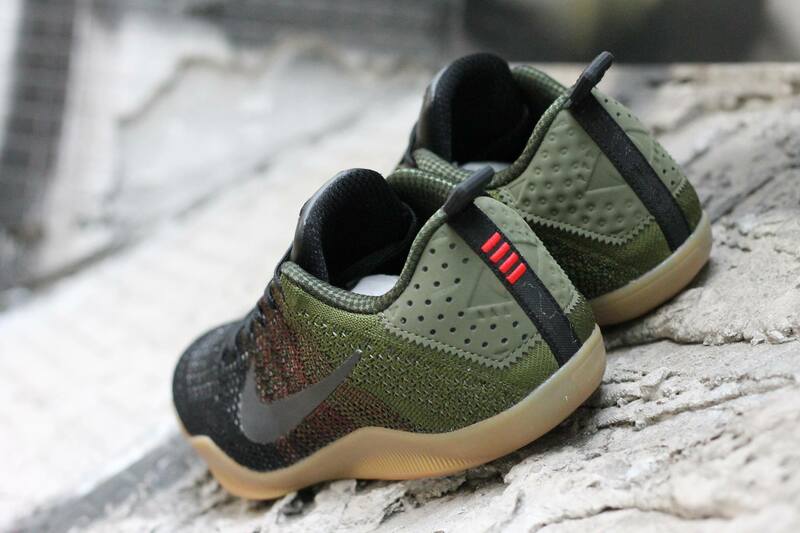 A green/gum Nike Kobe 11 4KB colorway. Nike has another shoe in the 4KB series of Kobe 11s that includes the "White Horse" and "Red Horse" pairs. Shown for the first time here is the upcoming Nike Kobe 11 4KB, a colorway one imagines might be called something like "Green Horse" if naming patterns hold. One assumes that there will be four colorways in total for this group as a reference to a broader Four Horsemen theme. Like other shoes with the 4KB designation, this pair has a Flyknit upper. While the store that posted this sneaker didn't mention a specific release date, there is a Nike Kobe 11 4KB design on calendars for Sept. 17 that looks to be a match for this one.